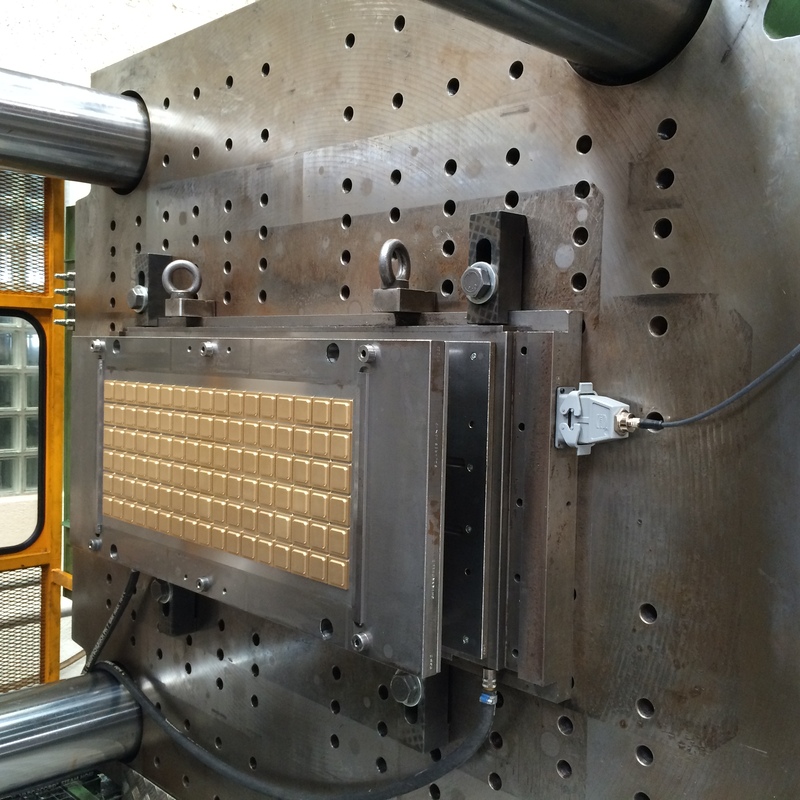 Complex and expensive injection molds are typically used in manufacturing parts. Due to wear and contamination, they require regular cleaning, care and maintenance. The regularity often depends on handwritten records in a molds log-book, post-its or on the experience of the employees. In more modern companies, databases or excel sheets may be used to store this information. Regardless of the method, real-world experience shows that manual recording is often prone to errors. Maintenance and inspection are often only carried out if a mold malfunctions, when it tends to be too late. Poured chocolate molds, that are used in continuous operation on the production lines of chocolate manufacturers, are known worldwide for their perfection and durability. In most cases, they are made in comparatively small batch sizes of 1500 to 2000 units. For this reason, the injection molds have a modular structure. The base is a master mold with exchangeable inserts which leads to quick and frequent mold change cycles. Additionally, there are certain things that require increased maintenance, like replacing hoses, lines or connecting components, that involve removing the master mold. This is why it is especially important to keep track of how many times a master mold has been used. A control system via industrial RFID technology can be installed to solve this problem. The RFID solution makes the use of injection molds traceable and ensures their optimal utilization. One key component is the RFID tag that is mounted on each mold. The market offers a wide variety of models for providing this core component in terms of storage capacity, antenna shapes, installation types and other features. Inside the machine, an RFID read/write device is installed to communicate with the data carriers on the mold. The central RFID unit with industrial PC and software is housed in a separate control cabinet. 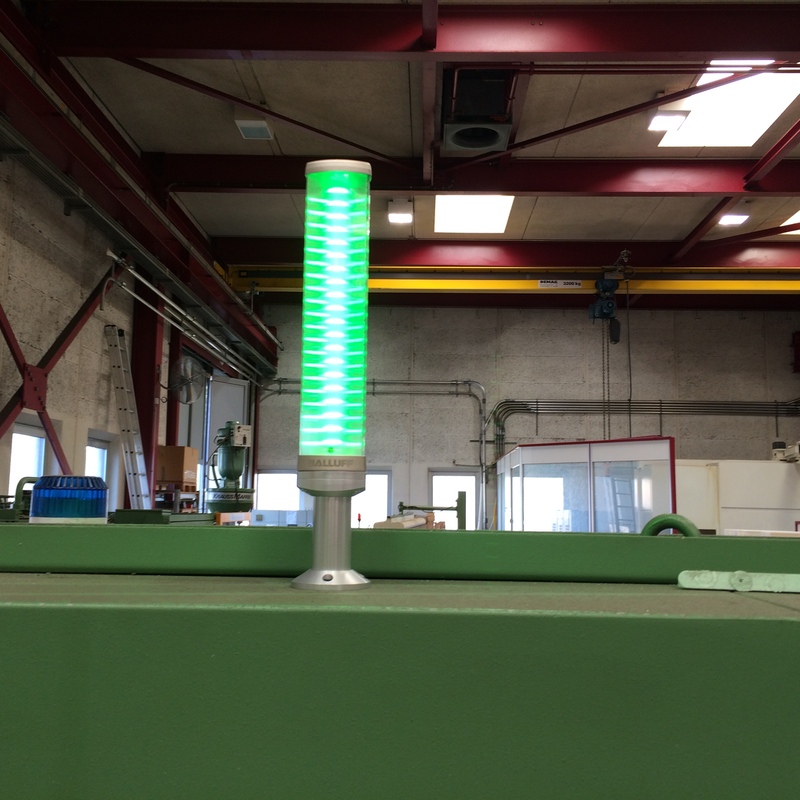 It includes a gateway to the company network and a connection for a signal light, giving the operator continuous visual indication of the current mold status with respect to the inspection intervals. The limit values for the number of shots before the next maintenance check and the number of shots before a warning is to be issued can be defined individually for each mold. By using RFID tags, the production cycles and all other relevant data, including a unique mold ID, are directly and distinctly associated to one mold. To read out the data, mobile terminal devices can be used. It can be chosen between either a handheld device or an Android smartphone with state-of-the-art Near Field Communication (NFC) and the corresponding app of the system provider. The latter includes the option of protecting the individual functions with a password. Additional access to the RFID system can be provided by a web service interface. It enables integration into higher-level systems (MES, ERP, etc.) via TCP/IP or Wi-Fi. Consequently, all mold data can be used in the company network. Additionally, a standard web browser provides global access to the RFID system and the molds being used in the machines. Learn more about Mold ID at www.balluff.com. Nadine Brandstetter has experience and knowledge of the industrial automation industry with Balluff. With her product and industry knowledge, she is sharing her passion for automation with Automation Insights.